Dr. Jenny Youngblood was born and raised outside of Memphis, Tennessee on a farm. Once accepted into Pepperdine, she moved to Southern California and has called it home for the past twenty years. 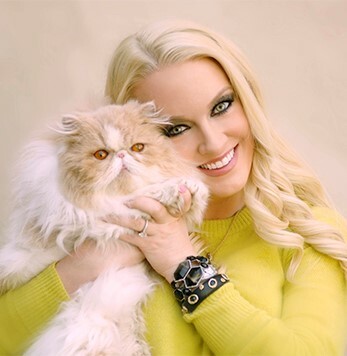 After owning and operating a tutoring/homeschool company and being a real estate agent for almost a decade, Dr. Youngblood decided to return to school to pursue her passion for veterinary medicine. She graduated with a dual degree in Master’s of Public Health from University of Minnesota, and her veterinary medical degree from Western University of Health Sciences. Her professional interests include internal medicine, emergency medicine and a love of all toy breed dogs. Dr. Youngblood strives to achieve excellent communication balanced with a realistic approach to medicine and care to strengthen the human-animal bond. In her spare time, Dr. Youngblood loves traveling abroad, reading, watching movies/film and NFL football, practicing yoga and spending time with her two very furry babies, Smoosh Parker and Gnoochi, both retired show cats. We are so delighted to welcome her to the AMC family!